Renault - I Say Ding Dong Shop - Buy Stickers, Decals & Unique Automobilia. Alpine Logo Circular Stickers. 2" Pair. Alpine Logo Oval Sticker. 4.5". Alpine Logo Oval Stickers. 2" or 3.5" Pair. 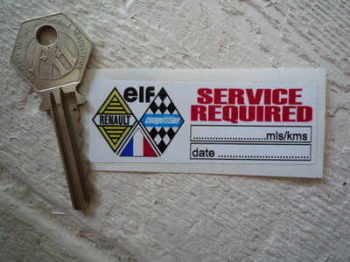 Elf Oils Renault. 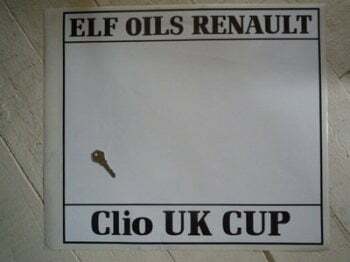 Clio UK Cup. Door Panel Stickers. 19.5" Pair. 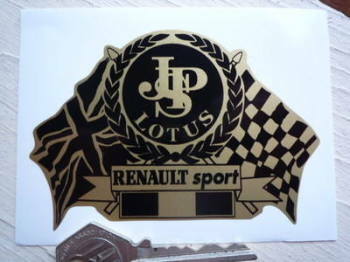 JPS Lotus & Renault Sport Flag & Scroll Sticker. 4". Kleber, Red, Black & White Oblong Stickers. 8" Pair. 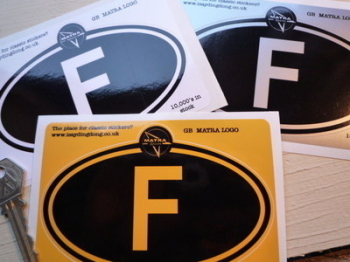 Matra Circular Cockerel Logo Sticker. 4". Matra Logo Nationality Country ID Plate Sticker. 5". Matra Sports Laser Cut Self Adhesive Car Badge. 2". Matra Sports Wheel Centre Style Stickers. 50mm. Set of 4. Matra Sports White on Clear Circular Window Sticker. 70mm. No Baguettes Funny French Van/Car Sticker. 5". Penthouse Racing Stickers. 6" Pair. 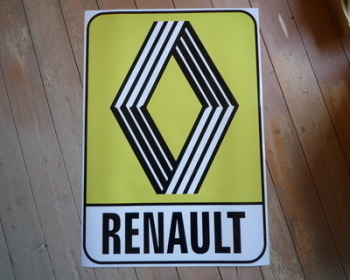 Renault 1960's Yellow Logo & Text Sticker. 31". Renault 1972 & on Mustard Logo & Text Sticker. 10" or 12". Renault 1972 & on Mustard Logo & Text Sticker. 31". Renault 1972 & on Mustard Logo & Text Stickers. 4", 5", 6" or 8" Pair. Renault 1972 & on Yellow Logo & Text Sticker. 10" or 12". Renault 1972 & on Yellow Logo & Text Sticker. 31". Renault 1972 & on Yellow Logo & Text Stickers. 2.5", 4", 5", 6" or 8" Pair. Renault 5 Turbo 1981 Monte Carlo Rally Winner Lick'n'Stick Window Sticker. 5". Renault 5 Turbo 1981 Monte Carlo Rally Winner Sticker. 7". 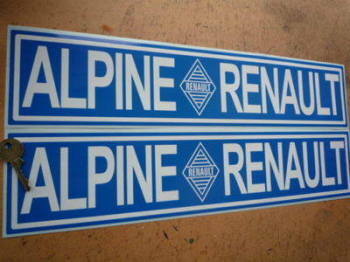 Renault Alpine Blue Oblong Stickers. 450mm Pair. Renault Alpine Gordini Tricola White Middle Stickers. 12.5" Pair. Renault Alpine Gordini Tricola White Middle Stickers. 6" or 8" Pair. Renault Alpine Gordini Tricola Yellow Middle Stickers. 12.5" Pair. Renault Alpine Gordini Tricola Yellow Middle Stickers. 6" Pair. Renault Alpine Large Document Holder/Wallet. A4. 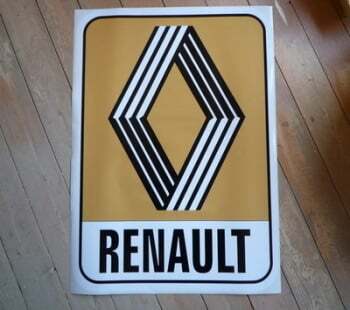 Renault Alpine Screentop Visor Decal Stickers. 946mm. 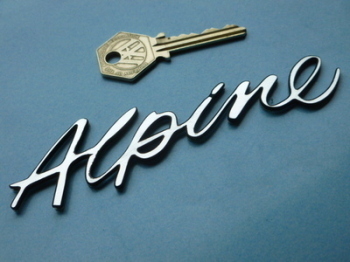 Renault Alpine Text Laser Cut Self Adhesive Car Badge. 5". Renault Clio RS182 Cut Vinyl Sticker. 3". 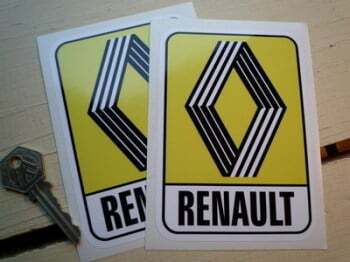 Renault Competition Round Rally Stickers. 2.5" or 4" Pair. Renault Competition Service Required Sticker. 3". 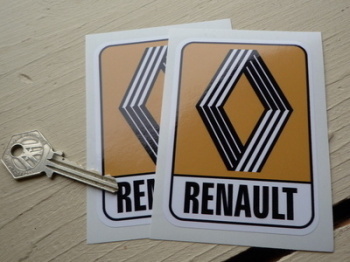 Renault Cut Vinyl Text Stickers. 9" or 10" Pair.